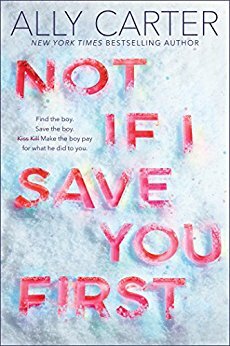 This week's Book Giveaway is Ally Carter's latest YA thriller, Not If I Save You First. I usually like Carter's books, but I'm a little confused about this cover art. Are those letters... popsicles? Candy? Jello shots? It's a mystery. A full review will be posted shortly.